It's relatively simple and straightforward... after spending 28 years learning, observing and directly participating in all areas of seating and table design, shoulder to shoulder with some of the world's leading product designers (both domestically and overseas) we do not work with scientists or engineers in almost all instances. However, when I am questioned by the other side in litigation, they invariably focus on demanding to know which scientific principles, science textbooks, engineering manuals, professional licenses, certifications or national laws specifically cover and spell out the exact minimum scientific standards that must be met to safely and legally design and manufacture chairs and tables. When I continually respond that such scientific or mathematical formulas or equations do not exist, they become somewhat hostile and continue to insist that I provide the specific scientific and engineering texts, from some mythical, universally accepted "bible" for designing safe chairs and tables. Let me state very clearly that this "chair and table design bible" does not exist. There are literally thousands of new or modified seating, table top and table base designs and configurations specified and produced each year around the globe. In addition, the materials, dimensions, intended use and price points for each chair, table top and table base are different for almost every design and development project. Seating and table design are unique disciplines and cannot be gleaned from any textbooks or specific college, engineering or graduate school degrees. The only way to learn all aspects of proper seating and table design, construction and performance is to spend years working right alongside experienced and successful product designers and factory resources, from the initial concept rendering stage, through the entire prototyping process; then coordinating with the component suppliers, performing site inspections and ultimately making sure the products are properly manufactured for their targeted markets, intended use and specific types of customers. All of this can only be observed, learned and mastered in a "real world environment". In the cases where I have been designated as a furniture expert, and the opposing side has retained some type of engineer or scientifically oriented person, (usually having some advanced degree and/or engineering certifications) most of the time, this other supposed seating and table "expert" has never been directly involved in designing and developing a safe, viable chair or table for end user markets such as hotels, casinos, restaurants, cruise lines, bars and lounges, retail store planning, senior living, university or residential environments. In one recent case, the opposing side (a well-known insurance company) retained an engineer to analyze the facts of the case and the subject chair, and to write his expert report accordingly. When I read his report, it was obvious that this engineer knew nothing about seating design or the hotel guestroom environment where this incident occurred. He had simply gone to Google Search and entered some key words or phrases, he was then referred to various other sites and links; he referenced some tests and other related facts that he found, which had absolutely nothing to do with the subject armless wood chair. After completing my detailed site inspection with the subject chair, then submitting my expert report, I was deposed and pointed out to the defense attorney the glaring errors and lack of any experience that this engineer had, in designing or developing not a single chair in his entire career; the defense quickly offered to settle the case. Hopefully this brief article can serve to educate and add value to both the plaintiff and defense sides for decision making and strategic discussions before going into future litigation. Leonard J. Backer has over 28 years of extensive and successful Seating and Furniture Industry experience in all key areas. Mr. Backer has been directly involved in the design and development of 250+ seating and table collections. 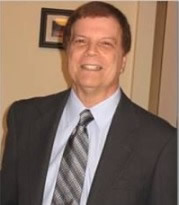 He specializes in Private Label Manufacturing, Sourcing, and Product Development expertise.